When the first Canadian contingent left Halifax in 1914 for the Great War, it appeared to be very British. After the experiences of that first world war and of the past century, it has become clearer that Indigenous People have not only been included in the Canadian military but have contributed significantly to its evolution. 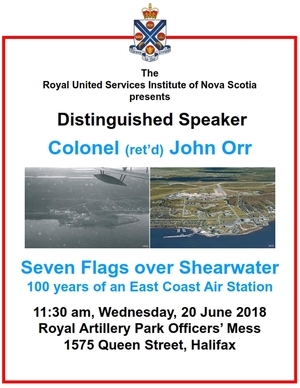 The Royal United Services Institute of Nova Scotia extends an invitation to members of the Royal Nova Scotia Historical Society to hear a talk by John MacFarlane, Directorate of History and Heritage, Department of National Defence, on Wednesday, 21 November 2018. John’s talk is titled “Growing Together: the Cultural Contribution of Indigenous People in the Canadian Military since the First World War.” His bio is attached. The event will start at 11:30 am at the Royal Artillery Park Officers’ Mess, 1575 Queen Street, Halifax, with an informal no-host get together, followed by the talk at noon, then questions and answers, to finish about 1:30 pm. A limited number of light lunches will be available at a small charge. There are some cafés, etc., in the area that offer quick take out lunches. Parking at Royal Artillery Park is very limited. Registration is not required and there is no fee to attend this event. 13 February – To mark African Heritage Month 2018, Vanessa Fells of the Black Loyalist Heritage Centre will present on the Black Loyalists of Nova Scotia. 27 February – Dr. Sally Ross will present on the history of Acadian schools in Nova Scotia from 1758 to 2018: Challenges and Victories. 13 March – Professional musicians Patricia Creighton and Peter Allen will give a Flute and Piano Recital. 27 March – To commemorate the centenary of the end of the First World War, Dr. Brian Tennyson will present on Nova Scotia’s Experience of the First World War. 10 April – To celebrate Tartan Day, the Amethyst Scottish Dancers of Nova Scotia will perform both traditional and modern highland and step dances. 24 April – To commemorate the centenary of many women attaining the right to vote in Nova Scotia, Dr. Heidi MacDonald will present on this important stage in the suffrage movement. Government House is located at 1451 Barrington Street, Halifax. All events commence at 7:00pm and doors open to the public at 6:30pm. 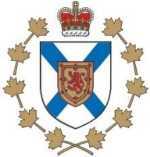 As seating is limited to 90, people wishing to attend must register by calling 902-424-7001 or by visiting the Evenings @ Government House section under News & Events on the official website at: lt.gov.ns.ca or by emailing LGOffice@novascotia.ca. For more information and to view upcoming events in the series visit lt.gov.ns.ca or follow the Lieutenant Governor on Twitter @LtGovNS and Facebook. This schedule is available as a PDF download. Dr. Owsley’s talk launches the Nova Scotia Archaeology Society’s 2015-16 lecture series, which is dedicated to the theme of archaeological science. Many of the talks pertain to material cultural research right here in Nova Scotia. Dr. Douglas Owsley will be visiting us at Saint Mary’s next week (Tues., 29 Sept.) to give a public lecture on his recent forensic work at early 17th century Jamestown. Saint Mary’s University, 923 Robie Street, Halifax.